Spectrum's Evolution Standing Computer Desks incorporate the elegant Evolution style into the healthy function of a ergonomic standing desk. Our standing desks are designed specifically for those seeking a healthier work environment as well as for those with recurring back problems. A bullnose front edge is standard for extra comfort on wrists. 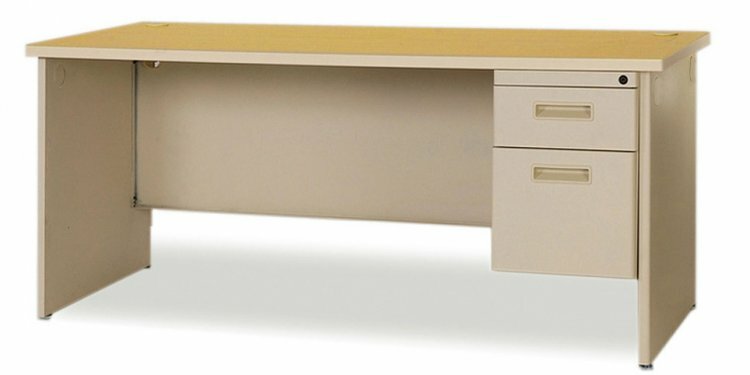 The 38" fixed work surface height has proven to be a cost-effective solution where expensive stand up work desks are the norm. Whether you want to burn calories or improve stature while working, Spectrum's Stand-up Desk is ideal for a healthier and more pain-free lifestyle.